Yellow straw color. Citrusy aromas of lemon custard, struck match, peach blossom, and lime zest with a soft, bright, dryish light-to-medium body and a graceful, brisk minerals and wildflowers finish. A soft and mellow chardonnay with a springtime sensibility. 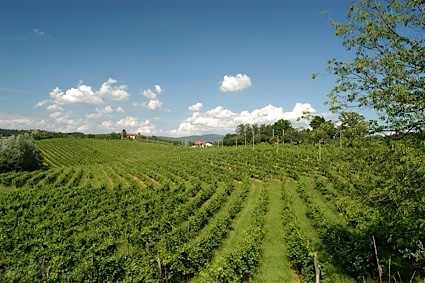 Bottom Line: A soft and mellow chardonnay with a springtime sensibility. 85 • CK Mondavi 2014 Willow Springs, Chardonnay, California 13.4% (USA) $6.99. 87 • CK Mondavi 2015 Willow Springs, Pinot Grigio, California 12.9% (USA) $6.99. 86 • CK Mondavi 2015 Willow Springs, Sauvignon Blanc, California 12.6% (USA) $6.99. 86 • CK Mondavi 2015 Willow Springs, Moscato, California 10.1% (USA) $6.99. 87 • CK Mondavi 2015 White Zinfandel Rosé, White Zinfandel, California 9.1% (USA) $6.99. 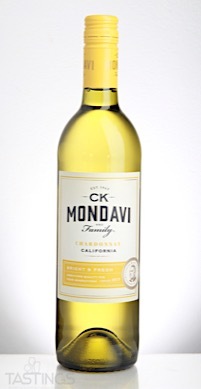 89 • CK Mondavi 2014 Blonde Five White Blend, California 12.6% (USA) $6.99. 80 • CK Mondavi 2015 Willow Springs, Chardonnay, California 13.4% (USA) $6.99. 88 • CK Mondavi 2016 Chardonnay, California 13.4% (USA) $7.00. 88 • CK Mondavi 2015 Cabernet Sauvignon, California 13.6% (USA) $7.00. 82 • CK Mondavi 2015 Merlot, California 13.6% (USA) $7.00. 87 • CK Mondavi 2016 Sauvignon Blanc, California 12.6% (USA) $7.00. 89 • CK Mondavi 2016 Pinot Grigio, California 12.9% (USA) $7.00. 86 • CK Mondavi 2014 Scarlet Five Red Blend, California 13.6% (USA) $7.00. 84 • CK Mondavi 2016 Chardonnay, California 13.4% (USA) $7.00. 88 • CK Mondavi 2015 Zinfandel, Lodi 13.9% (USA) $7.00. 84 • CK Mondavi 2016 Pinot Grigio, California 12.9% (USA) $6.99. 83 • CK Mondavi 2016 Sauvignon Blanc, California 12.6% (USA) $6.99. 83 • CK Mondavi 2017 Sauvignon Blanc, California 12.6% (USA) $7.00. 86 • CK Mondavi 2016 Pinot Grigio, California 12.9% (USA) $7.00. 85 • CK Mondavi 2017 Chardonnay, California 13.4% (USA) $7.00. 85 • CK Mondavi 2017 Chardonnay, California 13.4% (USA) $6.99. 83 • CK Mondavi 2017 Sauvignon Blanc, California 12.6% (USA) $6.99. 84 • CK Mondavi 2017 Pinot Grigio, California 12.9% (USA) $6.99. 84 • CK Mondavi 2016 Red Blend, California 13.6% (USA) $6.99. 85 • CK Mondavi 2016 Merlot, California 13.6% (USA) $6.99. 85 • CK Mondavi 2016 Cabernet Sauvignon, California 13.6% (USA) $6.99. 84 • CK Mondavi 2017 Chardonnay, California 13.4% (USA) $6.99. 81 • CK Mondavi 2017 Pinot Grigio, California 12.9% (USA) $6.99. 84 • CK Mondavi 2017 Sauvignon Blanc, California 12.6% (USA) $6.99. 88 • CK Mondavi 2018 Chardonnay, California 13.4% (USA) $7.00. 85 • CK Mondavi 2018 Sauvignon Blanc, California 12.6% (USA) $7.00. 85 • Flat Top Hills 2018 Chardonnay, California 13.99% (USA) $13.50. 82 • Flat Top Hills 2018 Sauvignon Blanc, California 13.5% (USA) $13.99. 91 • The Divining Rod 2014 Chardonnay, Santa Lucia Highlands 13.6% (USA) $14.99. CK Mondavi 2017 Chardonnay, California rating was calculated by tastings.com to be 85 points out of 100 on 3/20/2018. Please note that MSRP may have changed since the date of our review.